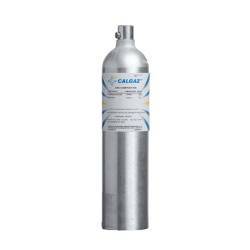 SpecialtyGasesUSA is an authorized distributor of Calgaz, a division of Air Liquide America Specialty Gases LLC, manufacturer of calibration gas in Cambridge, MD USA. For nearly 40 years the Calgaz brand has been synonymous with unsurpassed quality, reliability and service. We are an authorized distributor of Liquid Technology Corp. manufacturer of EPA Protocol calibration blends for CEMS ( Continuous Emission Monitoring System) applications. Calgaz gas mixtures and regulators are manufactured, fully tested and shipped from Calgaz state-of-the-art production facility in Cambridge, Maryland, USA. 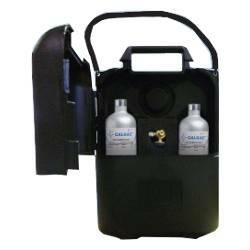 582 Calgaz 582 Black Cylinder Case with foam for Calgaz 34, 34s, 58, 58s, 103s and 116 Cylinders. Includes cylinder case with integral foam block and detachable shoulder strap. 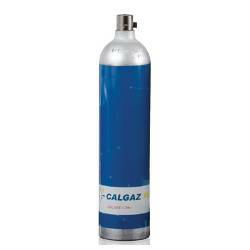 ..
2R000179 Calgaz DFR 2004 Demand Flow Regulator for Calgaz 34, 58, 105 and 116 Hydrogen Chloride (HCl) and Chloride (Cl2) Cylinders. 0-1000psig/70bar Maximum Inlet Pressure. 5/8-18 UNF Inlet. 0-1000/70bar gauge. 0-3 LPM flow range. 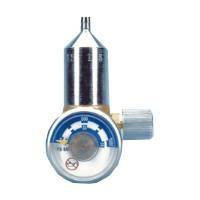 ..
7R000247 Calgaz 715 Fixed Flow Regulator for Calgaz 34, 58, 105s and 116 Cylinders. 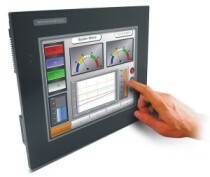 60psig/4.1bar to 1000psig/70bar Inlet Pressure Range. C-10 5/8-18 UNF male Inlet. 0-1000/70bar gauge. 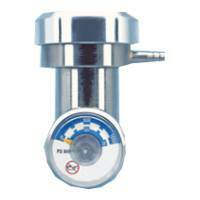 0.2 to 6 LPM flow rates. ..
> CHLORINE > 116 LITERS : 42 Items found.